At Dwyer Williams Cherkoss Attorneys, PC, we know the pain, financial pressure, and extreme distress that result when you or someone you love is involved in a semi-truck accident. Semi-trucks are unquestionably the most dangerous motor vehicles that occupy Oregon's highways. The aftermath of an Oregon trucking accident almost inevitably involves excruciating pain, weeks or months of grueling physical therapy, astronomical medical expenses, and permanent changes in victims' ability to enjoy the simple pleasures of life. Many victims of semi-truck accidents in Oregon are also never able to work again. Our dedicated legal team will meticulously investigate the circumstances surrounding your accident, engage in hard-nosed negotiation with any insurance companies, and passionately and zealously advocate your best interest in court. We see our job as easing your recovery and helping you obtain the financial compensation that you need to rebuild your life and move past this tragic accident. Trucks can cause catastrophic injuries, considering the sheer size and momentum of these large commercial vehicles. If you have suffered an injury in a commercial truck accident in Oregon, you are not alone. According to the figures published by the Oregon Department of Transportation (ODOT), 2,174 accidents involving semi-trucks were reported in 2015 in the state. These accidents resulted in 54 fatalities and at least 880 bodily injuries. The NHTSA says that although commercial trucks account for just three percent of all automobiles on the road, they are responsible for 12 percent of all fatal crashes. Why Are Semi-Truck Accident Lawsuits Unique? Oregon is unfortunately a place prone to trucking accidents. With cars having to share its interstates and major state and US highways with semi-trucks and tractor-trailer trucks, there are reasons to fear the distressing number of truck accidents in the state. According to the 2011 Summary of Oregon Truck Safety, half of these trucks accidents are due to driver or mechanical fault. Half of these trucks accidents also result to injury or fatality. Semi-truck accidents account for 12 percent of all motor vehicle fatalities and the occupant of the other vehicle is killed in about 98 percent of those cases. Major regulatory changes have been recently introduced to the trucking industry. Standards and processes for accident documentation, violation reporting, employment screening, working hours, driver training and safety requirement have been improved. Still, last year’s statistics noted that 5000 Americans lives were lost and some other 100,000 people were injured because of truck accidents. And though more and more are opposing trucks in roadways, large trucking companies are still pushing Congress to increase the national cap on truck size from 80,000 pounds to 97,000 pounds. Any claim that commercial trucking accidents in Oregon are deadly is a drastic understatement. The primary reason for this deadly outcome in semi-truck accidents is the massive weight and size differential between an 80,000 pound loaded semi-truck and a 3,000 pound passenger vehicle. An experienced truck accident law firm in Oregon will conduct an independent investigation to try and determine the cause of the truck accident that resulted in your personal injuries. They may investigate the procedures of the trucking company to see whether any rules were violated. Commercial truck drivers are often under pressure from the trucking company to deliver their cargo within tight deadlines. Although Oregon regulations are in place to limit the number of hours a truck driver can operate behind the wheel, these limits are sometimes ignored to meet business demands. This can push a truck driver to the point of fatigue or exhaustion. They could fall asleep behind the wheel, which can have devastating consequences for other drivers on the road. Driving dangerously and driver fatigue are two of the common reasons for truck accidents in Oregon. Truckers may sometimes tailgate or drive recklessly, endangering other drivers on the road. Some of the drivers may not have received the appropriate training or may not be licensed to operate large commercial vehicles. Driving under the influence of alcohol or drugs and driving while distracted are other key causes of big truck crashes. Commercial truck accidents in Oregon also occur because these large, lumbering vehicles are not easy to handle. A lengthy 18-wheeler will have some blind spots (usually in the rear, but also in the sides), which the driver is unable to see. The Insurance Institute for Highway Safety says that loaded tractor trailers can take 20 to 40 percent farther than a car to stop. This gap is even more on a wet and slippery road, or when the truck’s brakes are poorly maintained. Vehicle failure is, in fact, often to be blamed, when a large truck swerves after a tire blowout. This blowout could be the result of improper maintenance, an illegal amount of load on the trailer, or a failure to replace overly worn tires. The truck accident attorneys at Dwyer Williams Cherkoss in Oregon have a deep understanding of the state and federal laws governing the trucking industry. They will closely investigate the actual causes of the crash to hold the responsible parties accountable to the victim. Every insurance company has a team of adjusters, investigators, and semi-truck accident attorneys whose primary responsibility is to limit the liability of the insurance company and minimize the amount of money paid to injured parties. It is imperative for the semi-truck accident victim to have a similar team watching out for his or her needs, preferably one which includes an experienced semi-truck accident law firm, such as Dwyer Williams Cherkoss Attorneys, PC. A truck accident can be classified into a rear end collision, sloshing, battery fire, fuel oil fire, rollover, among others. As is the case in any type of motor vehicle accident, in order to make a recovery in your trucking accident case it will be necessary to prove negligence on the part of the semi-truck driver and/or the trucking company. The Federal Motor Carrier Safety Administration (FMCSA) and Oregon state law heavily regulate the trucking industry. A violation of these regulations can constitute negligence, so it is critical that you work with an experienced Oregon semi-truck accident law firm rather than a law firm that only occasionally handles trucking accidents. You need and deserve the best. A trucking accident case in Oregon can be complicated, and it may involve multiple insurance companies. These accidents often have too much at stake because of the severe injuries caused to the victims, such as spinal and neck injuries, traumatic brain injury, broken bones or fractures, and injuries requiring surgery and long-term rehabilitation. Therefore, an insurance company in Oregon is likely to use a battery of lawyers, investigators, and adjusters to do everything they can to minimize their compensation to the injured persons. Insurance companies may also deny a personal injury claim in an attempt to protect the driving record of the at-fault truck driver. Truck accident victims in Oregon should know that they have too much at stake to allow the insurance company to determine what happens next. They should get able legal representation so that there is a level playing field, and the insurance company recognizes that they cannot escape responsibility. It is crucial to remember that if an injured party chooses to sue the insurance company on their own and lose the case, they do not get a second chance to hire a lawyer and file another lawsuit. A salient Oregon truck accident attorney is the best option to aggressively and successfully pursue a rightful claim for compensation from the insurer or the at-fault driver and the trucking company. Semi-truck accident cases can be complex because critical evidence often conveniently "disappears". Trucking companies have been known to send their investigators and experts to the scene of a semi-truck accident within minutes of a collision. Big-rig trucks can be moved and evidence at the scene can be altered, which can make it harder to prove what caused the accident. When you are involved in a semi-truck accident it is crucial that evidence can be preserved. At Dwyer Williams Cherkoss Attorneys, PC, we have our own team of experts and investigators that we can dispatch to an accident scene so that we can gather the evidence needed to reconstruct the accident and build your case. Other evidence that is commonly tampered with in truck accident injury cases are drivers' "logbooks" and trucks' on-board data recorders. Driver logbooks are maintained by drivers to record the number of hours that they have been on the road and compliance with mandatory rest period requirements. There are specific "hours of service" regulations that a driver is not supposed to violate, which require drivers to rest for mandated periods of time. A truck driver’s violation of these rules may be important to establishing negligence and proving that driver fatigue was a cause of the semi-truck collision. Logbooks are routinely manipulated or altered. Drivers abuse these rules to increase their earnings and trucking companies often look the other way in the name of profit. The result of logbook manipulation is that Oregon's roads are filled with fatigued semi-truck drivers. Fatigue is the cause of many semi-truck accidents. Data from trucks' on-board data recorders can also provide valuable information regarding hours of service, sudden braking, maintenance issues, and more. This data will typically be erased unless your Oregon semi-truck accident lawyer takes immediate steps to put the trucking company on notice that the data must be preserved. Your car might weigh 4,000 pounds on average, but a large truck could weigh up to 80,000 pounds when fully loaded. If overloaded illegally, it may weigh even more (which could contribute to your settlement). The sheer size and weight of a large truck can potentially cause life-altering injuries in a crash, particularly at highway speeds. Victims typically suffer broken bones and fractures, internal organ injuries, injuries to the spine, back or neck, paralysis such as paraplegia or quadriplegia, neurological damage or a traumatic brain injury (TBI), leg or arm amputation, disfigurement, severe burns, and even death. Truck accident injuries are often the worst injuries a victim can suffer in a road accident. The medical and other economic costs of these injuries easily exceed hundreds of thousands of dollars in addition to physical and emotional tolls. The attorneys at Dwyer Williams Cherkoss Attorneys, PC will seek to compensate you for the full measure of your loss including lost earnings, life-long medical care and support, permanent disability from employment, substantially impaired quality of life, pain and suffering, and loss of services or support of a spouse. When you are a victim in a semi-truck accident it is important that you have a team of insurance adjusters, investigators, and semi-truck accident attorneys looking out for your best interests. Trucking companies have enormous resources and experts at their disposal. The attorneys on our team here at Dwyer Williams Cherkoss Attorneys, PC have extensive knowledge of and experience with trucking regulations, trucking industry practices, and trucking litigation defense strategies. 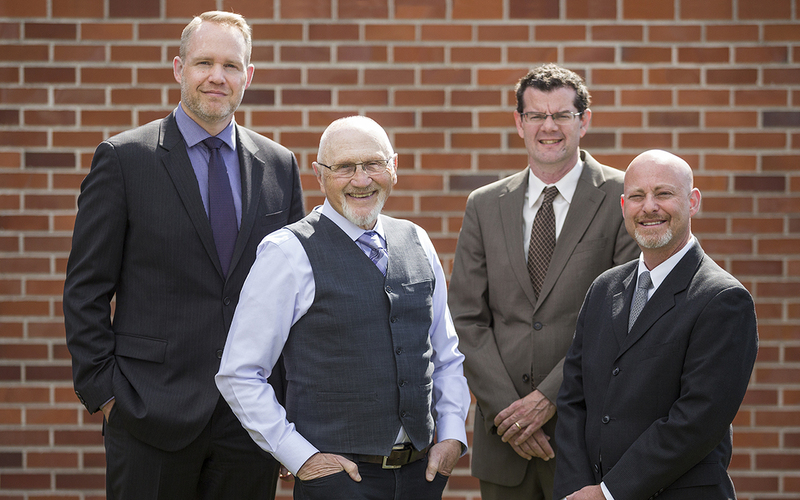 Dwyer Williams Cherkoss Attorneys, PC, handles claims and cases arising from trucks accidents throughout Oregon. Our truck accidents lawyers have produced significant results for many clients through quality legal representation. We measure our success not only by winning in negotiating tables and courtrooms, but also by the number of lives we’ve touched. We can do the same for you! If you or a family member has suffered because of a truck accident. Contact our trucks accident attorneys at Dwyer Williams Cherkoss Attorneys, PC at 1-800-285-8678 . Together, we will ensure that your rights and interests are protected for your truck accident case.